Oct 14-20, 2018 – This week we celebrate the wonderful pet nurses. This is an edited version of our post from the previous year and while each year this week repeats, the week is never less important. Have you thought about hugging them? Ok, you should probably ask before you go doing so but our veterinary technicians are the nurses of the pet world. They perform a thankless job of restraining, cleaning, expressing, injecting, drawing blood and many other tough tasks that put them in harm’s way each and every day. 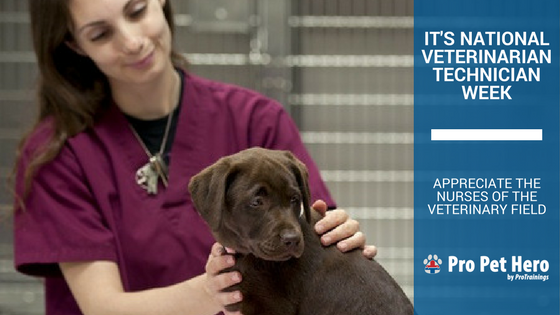 Veterinary technicians have dedicated their time and life to the welfare of your pets. Licensing, certification and registration requirements for vet technicians vary by state by state but in general, a great deal of commitment is made to be certified to provide that level of care. 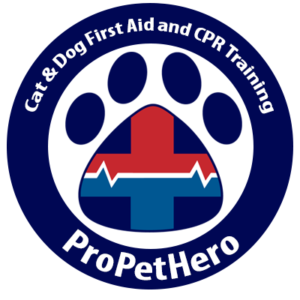 Without our vet techs, critical care could not be provided to your pets. Often they are the frontline before the vet can see your pet and make any diagnosis – they collect the valuable information. These are the same people that have to restrain your buddy so they can have blood draws, injections or have the vet investigate that strange growth. While it’s terrific we have a week to recognize our furred friends’ heroes, we should celebrate them all year. Remember to say thank you because while your pet may not enjoy getting their body poked by needles, it is certainly made better by a vet tech’s touch.